For modern brides with a mix of styles, this Greek designer has it all. 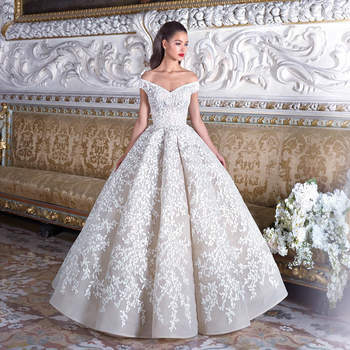 Demetrios combines long-standing bridal traditions with a modern aesthetic and exquisite detailing. In this gallery we present to you all the unique looks created by this world-renowned designer for 2019. 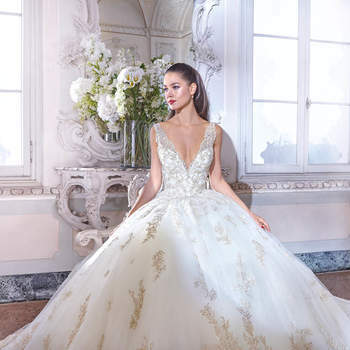 Among the designs, you can discover dresses with a timeless French aura mixed with new-age passion, as well as contemporary 3D floral embroidery, modern lace patterning, and even the bold incorporation of feathers and beading. Other dresses are reminiscent of Versailles glamour, with a sense of decadence and a regal air, incorporating ivory to ensure that the white lace detailing stands out as bold and beautiful. 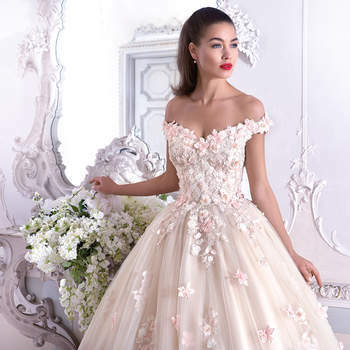 If you’re looking to trade in tradition for a fashion-forward look, then you can also find pastel coloured wedding dresses in light pinks and blues within this gorgeous collection. Capes are also a modern addition to the bridal look, in replacement of a veil, adding drama and empowerment to contemporary styling. We hope you fall in love with these dresses as much as we have. 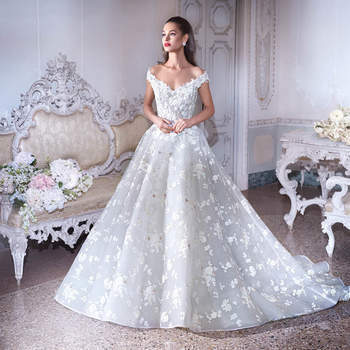 Simply choose your favourite number from the Demetrios Wedding Dress Collection for 2019 and dazzle your guests on your special day!